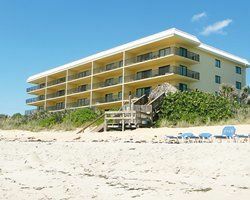 Come and revel in the beauty at Las Olas Beach Club and experience the sand and surf on the 600 feet of beautiful Atlantic beachfront at this timeshare property. 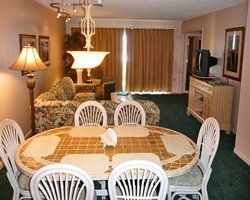 With these Florida timeshares for sale, the recreation opportunities are abundant and include many on-site activities such as an outdoor pool, whirlpool and beach volleyball. 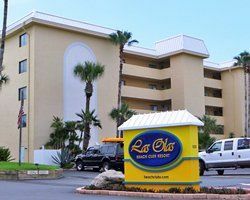 The community and family environment at Las Olas Beach Club is fostered by weekly activities for its guests and a full schedule of recreation for the whole family. 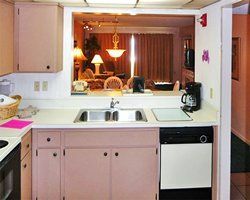 There are barbecue grills and picnic areas for all to enjoy, or you can create your own culinary delights in your unit’s full kitchen. Each unit also has a furnished outdoor area if you prefer to dine al fresco. 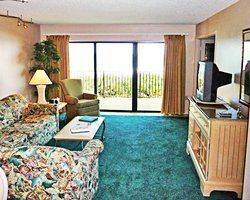 Florida timeshares for sale at Las Olas Beach Club feature spacious two bedroom, two bathroom units with large private balconies. 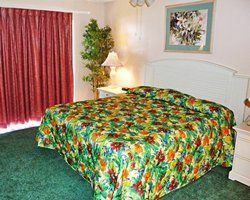 Each unit is equipped with the conveniences of a true vacation home including a full kitchen, washer and dryer, televisions, DVD player and free wireless internet and telephone calls (within the United States and Canada). Each unit comfortably accommodates up to six and the two bathrooms are equipped with toiletry essentials. If you want to venture away from the sand and surf there is plenty to do near your timeshare. Enjoy a tour of the “Space Coast” at nearby Kennedy Space Center. If you are fortunate you will see one of the rockets lift off into space. You can also take a swing at sharpening your golf skills in one of the many nearby golf courses. At the nearby King Center for the Performing Arts you can experience a rich theater culture. Approximately 60 miles away lies Orlando with its world-renowned theme parks and dining. 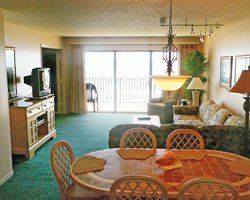 Take a day trip to experience the wonder of the theme parks and then rest your weary head at your comfortable two-bedroom oceanfront oasis. Contact Las Olas Beach Club Specialist Today!